China has a water crisis - how can it be solved? What do the Chinese cities of Harbin, Ningbo, Qingdao and Xuzhou have in common? They are all water stressed, but they are also perfectly positioned to lead the country toward a more sustainable water future. While China encompasses almost 20% of the world’s population, the country contains only 7% of the world’s fresh water, leaving it with much less annual fresh water available per capita than most other countries. In addition to growing population, pollution further limits the amount of water available for use. At least one-third of China’s lakes and rivers are unfit for human use, and 73% of the watersheds that supply water to China’s 30 fast-growing cities face medium to high pollution levels. While industrial pollution is the most frequently discussed source of pollution, land use and degradation accounts for about half of the pollution found in China’s water. Fertilizers, pesticides, and livestock waste is carried into lakes, rivers, wetlands and coastal waters. Aquifers are also impacted as rainfall and snowmelt carry pollutants underground. For the past several years, The Nature Conservancy has been studying the state of water around the world. This year, we dove deeper into China’s water resources given the country’s challenges and importance to the global economy, environment and human development. In our latest report, the China Urban Water Blueprint, we analyzed the state of the 135 surface water sources tapped by China’s 30 largest and fastest growing cities, and we found opportunity. Our findings indicate that less than 6% of China’s land mass provides more than two-thirds (69%) of the country’s water supply. Therefore, there is great potential to secure a significant portion of water supplies for major cities by investing in natural solutions in small and medium sized catchments (those less than 100,000 square kilometers in size). By protecting forests and improving agricultural practices in targeted areas in China, the country can improve water quality. In fact, by targeting conservation strategies to roughly 1.4 million hectares, sediment and nutrient pollution could be measurably reduced – by at least 10% – in these small to medium sized water catchments. These natural solutions have the potential to improve water quality for more than 150 million people. The study also showed savings in water treatment could offset a significant portion of the catchment conservation costs. China’s current expenditure on its national eco-compensation programmes averaged $8 billion annually over the most recent five year period. In comparison, investment in natural solutions that could improve water quality by 10% in China’s 30 fastest growing cities would cost about $300 million each year. For half of the cities analyzed, a savings in water treatment could offset a significant portion of the catchment conservation costs, and for four cities (Harbin, Ningbo, Qingdao, Xuzhou), conservation could effectively be cost-neutral. In addition to cost savings realized by cities, investment in water supply catchments holds great potential benefits for nature. Within the water supply catchments serving these cities, identified national priority biodiversity areas account for 25% of the total catchment and intersect with eco-regions containing roughly one-fifth of China’s fish and terrestrial animal diversity. This makes improving water security for people and nature possible at a low cost for cities. 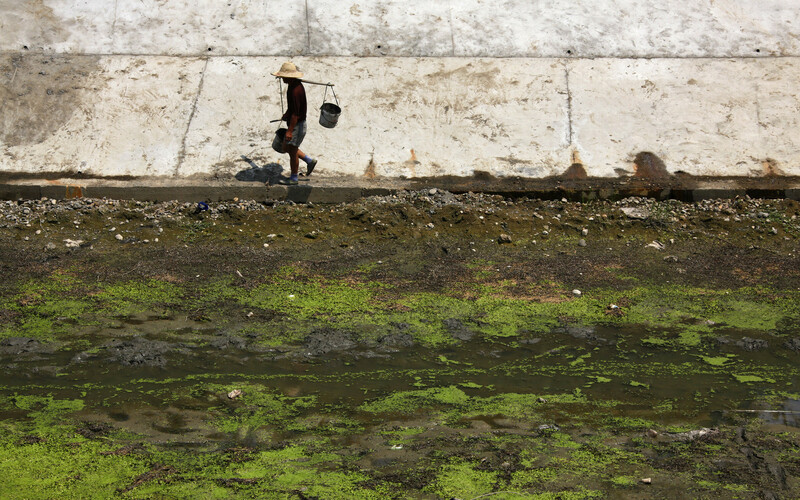 Collective action water funds provide one way for China to implement these types of nature-based solutions at scale. This governance and financial tool is being used around the world, from Ecuador to Kenya. When designed properly, water funds enable public and private water users to become investors in their water sources, improving water quality. Water funds also provide a range of co-benefits to people and nature including protecting habitat, improving agricultural outputs, providing more reliable energy generation by hydropower facilities, and improving carbon sequestration. Water funds offer a mechanism to capture this value by taking responsibility to protect our land, water and wildlife today and for future generations. The opportunity exists in China today. China is already putting wheels in motion to address its current water challenges. Let’s be sure that nature is part of the equation used to solve the problem.